The sanctuary church of Madonna di Macreto sits in an isolated spot, 1000 metres above sea level high in the Sibillini mountains. It was built in the early C16 as an octagonal church, surrounding an older oratory which can still be seen inside. It is a breathtakingly beautiful site, sitting in alpine meadows and looking as fresh as the day it was built. 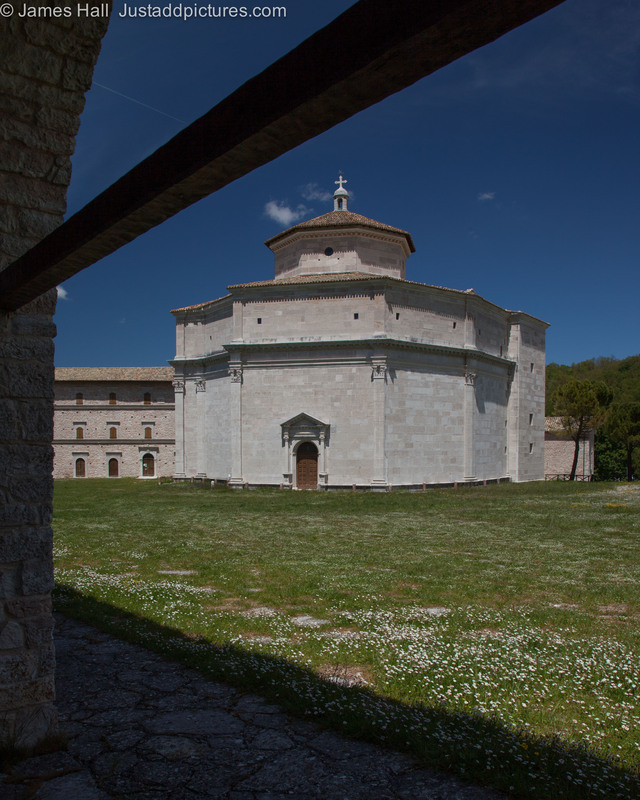 Posted in Architecture, Italy, Landscape, Photography and tagged architecture, church architecture, landscape, Madonna di Macreto, Monti Sibillini, photography, photos. Bookmark the permalink.